We are instrumental in offering a comprehensive range of Chain Conveyors to our customers that find their applications in automobile and allied industries. Manufactured using superior quality raw material procured from the authentic vendors of the market, these products are designed in compliance to international quality standards. Being versatile in nature, these conveyors are used to carry assemblies and heavy loads as well as for washing, loading and conveying lines. 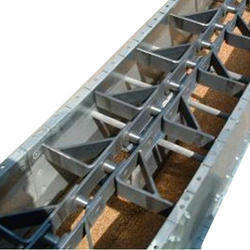 We are leading Manufacturers and suppliers of Drag Chain Conveyor. These are widely used in Material Handling industry. These are made up of supreme quality raw material and has long duarability. 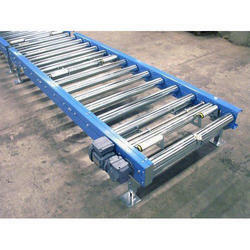 We are leading manufacturers and suppliers of Chain Conveyors. These conveyors are made-up of premium quality material and widely used in material handling industry.